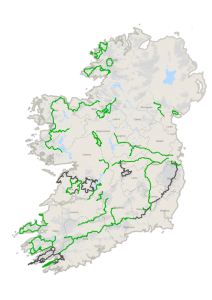 No 477 – Tough Soles 4000km around Ireland – The Outdoors Station "UA-92084833-1"
There are 42 trails within Ireland, with a combined distance of around 4,000km. So far they’ve walked 35 trails, and over 3,000km. 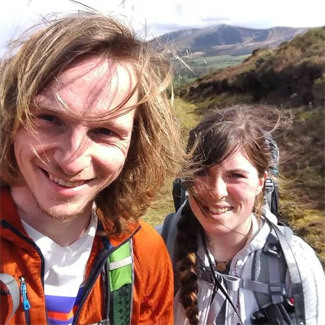 You’ll hear how they sacrificed their home comforts, sold everything to hit the road and walk every National Trail in the Republic of Ireland. It started off as a 6 months project. They originally started at haste but slowly they became aware that to rush was to miss the finer pleasures of their adventure. And so they now find themselves 18 months later, with only 7 more trails to go and a huge amount of experience under their belt and 100’s of beautiful memories of their country in their back pocket . I managed to catch up with them while they are both recuperating from a chest infection to hear the full story. The idea for this project was born while we were living in a tent in France a few years ago. The idea grew after we walked 1,100km through France and Spain along the Camino Del Norte – when we realised that we could have such amazing adventures in Ireland! Q: Oh, so you’re walking the Wild Atlantic Way? Q: So you’re just walking. No cars or anything at all, right? A: Well, we’re walking every trail. However, each trail is separate, so we have to take a lift or use public transport in between them. It’s a 4,000+km project just walking the trails themselves, not including any walking or transport we do in between! A: We’re hitch-hiking and taking public transport between the end of one trail and the beginning of the next. We’ve decided to apply for our driving licences when we’ve finished all this walking. 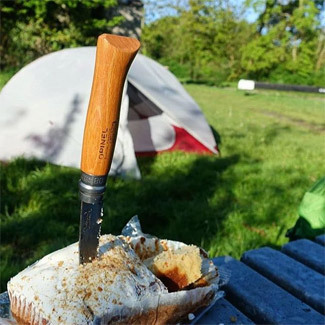 A: We’re doing a bit of everything: camping, hostels, staying in B&B’s, crashing at friends houses, and living off the kindness of strangers. So if you have room for us, or somewhere for us to camp, do let us know! A: Originally we thought 6 months, give or take. A year on … who knows! Q: Why aren’t you walking in Northern Ireland? A: It just happens that the set of trails we’re doing are specific to the Republic. There are some really gorgeous trails in Northern Ireland that we’re hoping to include if we have enough time/money/stamina. All trails coloured green in the map are trails we’ve done! We’ve been walking since April 17th 2017. Click through on the trails we’ve done below to see our blog posts and videos about them! DO check them out and leave a note or subscribe to encourage them to recover, keep their spirits up and reach their goal. Share some Outdoor Love !